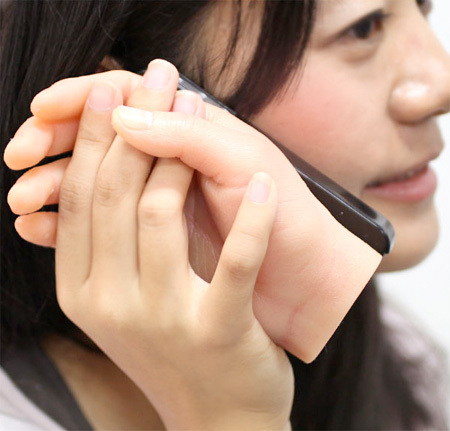 Unusual iPhone case from Japan comes with a hand attached to the back. 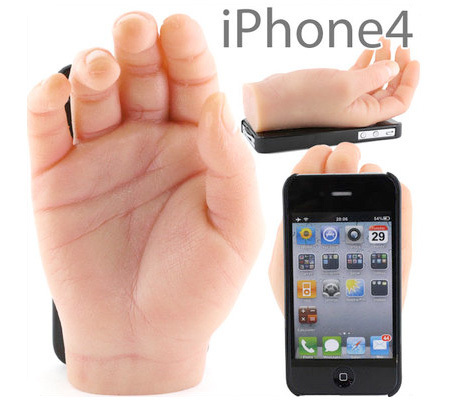 This weird invention allows you to hold hands with your iPhone to make sure you do not drop it. 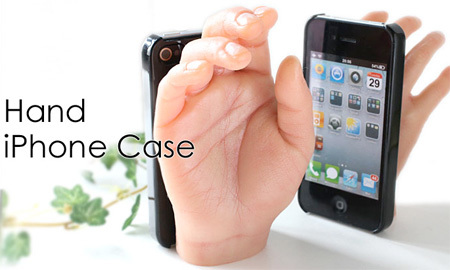 Never feel lonely again with Dokkiri hand case! This is just plain freakin’ creepy. Not to mention bulky and inconvenient. This is just like the creepy baby cake. So freaky!! I dont think anyone wants this. Except maybe to freak people out…..
Straight from a horror movie! omg, i know… i said the same thing! The first one screams forever alone. Lol, reminds me of the Adams family! Hahaha! 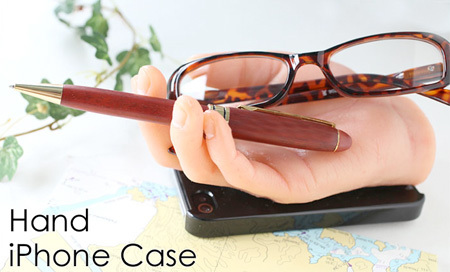 Btw, how would any one carry a iphone with a hand on a case..:/ its not gonna fit in jeans or even in dress pant pockets.. In case you were still able to put your smartphone in your pocket. That’ll fix it! Put some red paint on it and you’re on your way for a really freaky halloween deco. Very disturbing… Scared my Tech Teacher outta his pants..